Image courtesy of the artist. Featured model: Dorcas Owusu. Photo © Tom Harris. Courtesy of Wrightwood 659, the School of the Art Institute of Chicago and the University of Chicago. 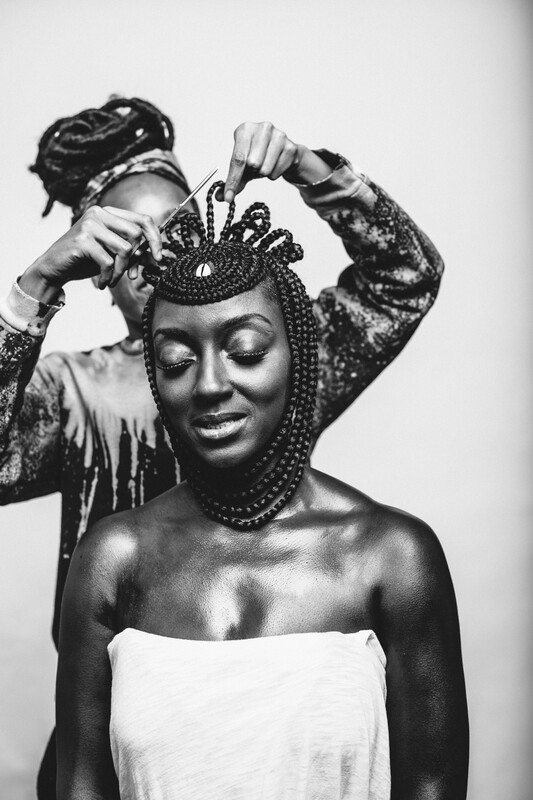 Join Artist and Celebrity Braid Stylist, Shani Crowe, for a hands-on braiding workshop. Learn basic braiding and cornrowing techniques while practicing on a friend. Hair products, supplies, and braiding hair will be provided. We recommend clean, stretched and detangled or blow-dried hair. Guests are welcomed to bring a detangling tool of choice and any special hair product needs. This program is part of the “Logan Center Family Saturdays” series. 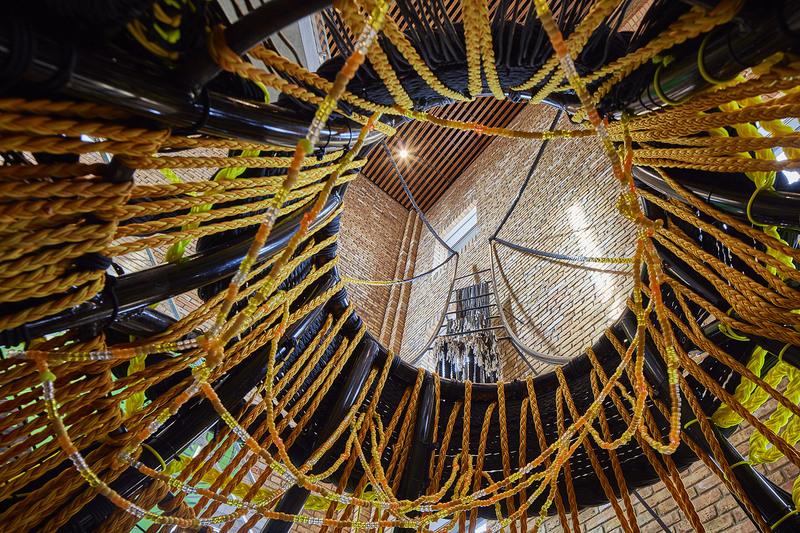 It will talk place at the Reva and David Logan Center for the Arts, located at 915 E. 60th Street, Chicago, IL 60637. Participation is free. Registration is encouraged. Shani Crowe’s most recent work, “Thrival Geographies (In My Mind I See A Line)” a collaboration with Amanda Williams and Andres L. Hernandez is on view at Wrightwood 659.